With this terminology, many may get intuitions of some optimistic thoughts to be quoted in this text, but it’s not about colours that make your life wonderful but colours that actually indicate some underlying pathological condition. Coloured Halos are seen when an individual stares at some light emitting object or a direct light source. It is perceived as a hue of rainbow encircling the light. Sounds fascinating, isn’t it? But it’s not so for the person who experiences it. 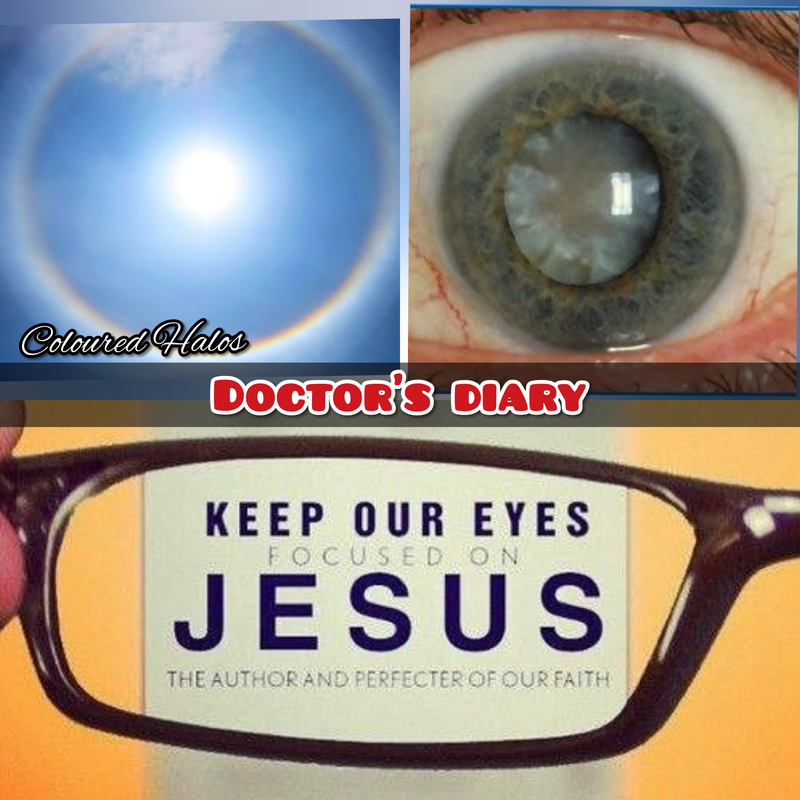 ‎On medical grounds, coloured Halos are a symptom depicting underlying ophthalmic illness. It is mostly seen in Immature Senile Cataract, Acute Angle Closure Glaucoma, Mucopurulent Conjunctivitis and Corneal Edema. EYE, one of the most vital sense organ in humans without which life would be miserable. As many would have heard the well- known proverb ‘All that glitters is not gold’, likewise everything that seems appealing and soothing to sight is not good. ‎Many times our eyes are fixed on vain and sinful things, sometimes they are fixed on mortal humans. Many loose vision by focusing on modern day snake oil salesmen, some focus on their wealth, some on drugs, that all goes vain. It may look exciting now, in the end, it’s all vanity. Bible states in Luke 11:34 “Your eye is like a lamp that provides light for your body. When your eye is healthy, your whole body is filled with light. But when it is unhealthy, your body is filled with darkness. So always keep the Spectacle and vision of your body clear and focused only on Christ.